You'll be £19.99 closer to your next £10.00 credit when you purchase The Sterling Redemption. What's this? The untold true story of James Edmiston who suffered an extraordinary miscarriage of justice in 1983 when senior officials blocked vital witnesses coming to his trial which led to a personal tragedy; a broken marriage, and the loss of a business. 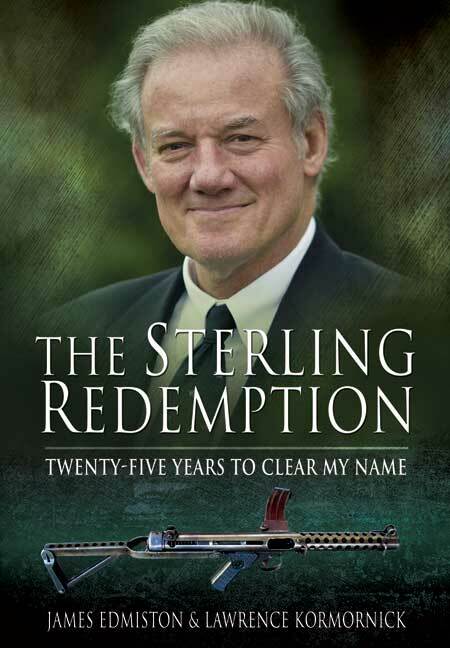 The Sterling Redemption explains how he was wrongly charged with alleged illegal exports to Iraq, and then took on the establishment against seemingly impossible odds for 25 years, to establish his innocence and to win record compensation from the British government in a truly remarkable case. Divorced and bankrupted, he is now rebuilding a shattered life, nearly 30 years later. In 1993, the Scott Inquiry unearthed serious misconduct by senior officials who colluded to block vital defence witnesses from coming to trial - behaviour described by Lord Justice Scott as “disgraceful” and “reprehensible”. Nevertheless, the officials concerned have escaped prosecution and some were even promoted. But by 1993, it was too late for Edmiston. He had suffered the enforced sale of his successful business, the Sterling Armament Company, the loss of 150 jobs and his town house on the Phillimore Estate Kensington; financial ruin; and divorce in 1990. He believes that there may have been an ulterior motive for the prosecution and he was a pawn in a high-stakes political game. Determined that the government should acknowledge his innocence and to compensate him and apologise, the case was thought to be impossible. After a successful judicial review against the Home Secretary, the government finally awarded him record compensation in 2008 but without an apology. The Arms to Iraq affair has come to stand for many things: lies by government ministers to protect the state; the sacrifice of innocent men facing prison who had been working for MI6; misuse of Public Interest Immunity Certificates (so-called “gagging orders”) to hide government policy on Iraq; diplomatic hypocrisy; and the downfall of the Conservative government in 1997. How did this happen in Britain and could it ever happen again? This extraordinary story is a fascinating insight into government and the abuse of power and is based on many original sources including the Scott Report and Judgment of the Court of Appeal (criminal). The co-author, Lawrence Kormornick, is a Solicitor-Advocate (civil) who has represented Edmiston and several other victims of the Arms-to-Iraq prosecution scandal against the government and has a unique insight into these cases. Packed with ironies, twists of fate and many unanswered questions it is a compelling read for anyone interested in political intrigue and abuse of power, miscarriage of justice and learning about how an individual took on the state and won. As seen in the Law Society Gazette. Wow! What a story! I'm aware of most of the Arms to Iraq Miscarriages of Justice from this period of recent British history. However, James Edmiston's experience must be the most glaring and appalling of all. The authors have written a fascinating account of it all but will Whitehall learn from this episode and start to conduct itself with any more honour and integrity? No, I don't think so either! I found this book to be an excellent read which I could not put down. A testament to fortitude under extreme circumstances and the efforts of one of the UK''s leading lawyers. I read your book -- cover to cover -- on the flight from Sydney to Plett. James, although I had some idea of what had had happened to you, I had no conception of its life wrecking gravity and timespan. Those officials really have something to answer for, but of course this wouldn't help you, for no retribution can recover those lost years. There's also no use saying that your experience has strengthened you and made you into a wiser and better person...What happened to you was horrible; period. But what I can say is that you have come through with your outgoing, optimistic temperament intact. You are so obviously a happy chap despite your dreadful experience. For this I respect you deeply..
'The Sterling Redemption' is not a crime thriller but a true story of alleged skulduggery and, possibly, criminal acts in the form of perverting the course of justice by the authorities and it should be bedside reading for everybody who believes in the rule of law. True, James has received compensation. But how do you compensate a person for the destruction of his career, the loss of his home and marriage? It is a truly shocking story, and the troubling part is that it is likely to be repeated unless the Scott Inquiry is taken off the shelf, and some of its lessons learned. 'The Sterling Redemption' is written in narrative style by Edmiston, and Lawrence Kormornick, who acted for him; it is an easy read and not long. 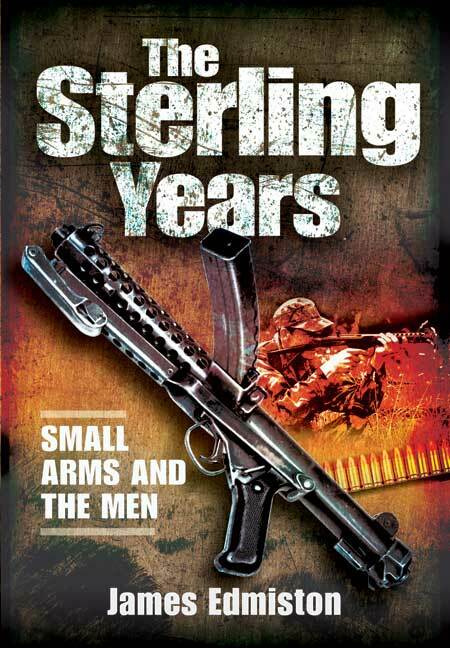 It has been written in succession to 'The Sterling Years: Small Arms and the Men', telling the story described above, James’ account of the seizure, his trial, the Scott Inquiry and his fight for compensation. But to lawyers it is the underlying story of miscarriage of justice exposed that will be both fascinating and outrageous. James had many ups and downs, which he recounts in rattling good style, taking us through to his eventual compensation in 2008 for what the government abusing its own processes had cost him. It’s a remarkable read…I’m amazed at your resilience and fortitude. Great read which kept me up at night…already bought a copy for a friend. Really, really well done! I very much enjoyed this eye-opening book…it’s heart-warming to know you beat the buggers! A searing expose of one of the most shameful and cynical prosecutions of modern times. Born in 1943, James Edmiston considers himself a product of the British so-called working class - whatever that may mean. He was educated at Rugby and Brasenose College Oxford, where he had the utmost difficulty in finding time to read law. Apart from a thorough grounding in production engineering, he ran the world-renowned Sterling Armament Company for twelve years, with a degree of success that he claims was due to his various colleagues and loyal employees. He is married with four children and is a considerable athlete with no political axe to grind. Is a solicitor-advocate (civil) and mediator who has represented many victims of miscarriage of justice.